The “NPS Spot” refers to the head of the luminaire only. It is designed to be fitting to either a Super Spike, to secure in sandy soil for uplighting bushes, or a Hunza Tree Mount Adaptor Kit to create a moonlighting effect. It has a fully adjustable head allowing 360 degree rotation and 0 – 90 degree elevation. 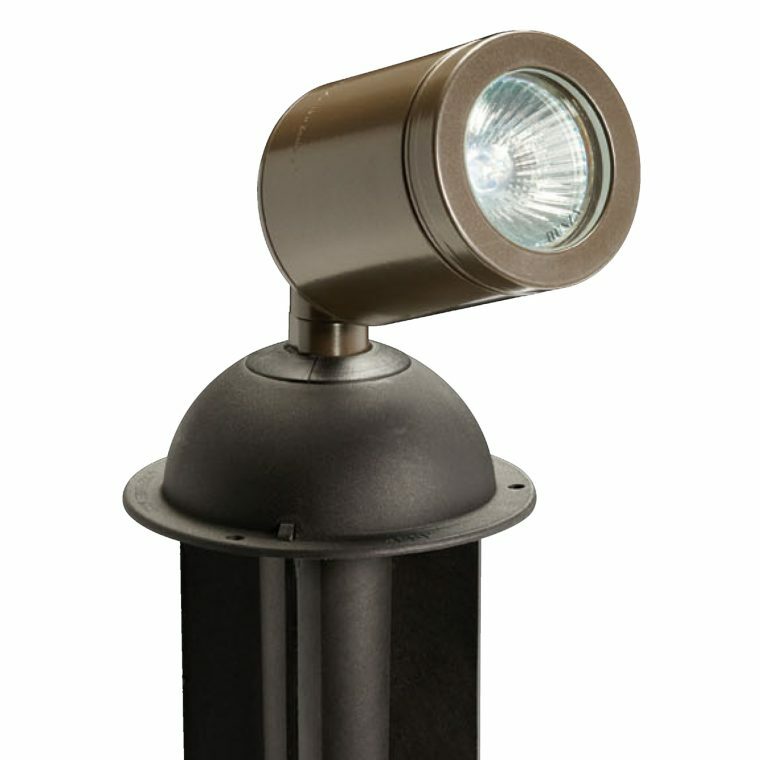 The Spot Light is machined from 10mm thick aluminium with a UV stable powder coated finish (standard colours bronze, green, matt black and silver) or solid copper or 316 stainless steel, clear tempered glass lens and high temperature silicon gaskets. This low voltage garden and landscape lighting product is suitable for use with an MR16 – 20, 35 or 50 watt lamp (max) and is supplied with a 50 watt high quality European 5000 hour lamp. Lifetime Warranty on Lens BreakageThe Cube Pole Spot LED outdoor light fitting is ideal for path lighting or tree lighting. It has an adjustable head that tilts through 180 degrees.